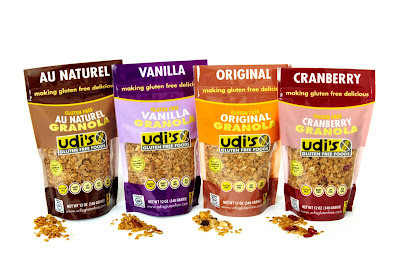 At the beginning of July I was given the opportunity to review Gluten Free Granola from Udi's. I was very excited about this opportunity since my middle daughter has Celiac Disease and our house has gone gluten free. Finding gluten free options that taste good are so hard to find. And given up foods we love are so hard to do. Then Gluten Free Granola comes into our lives. I love granola and so does my family. We often pair it with yogurt or just grab a handful of it for a snack. How do you use Granola? Do you buy gluten free products? I know in my house this is important but what is more important is the taste of these products. I loved the vanilla but I tend to love Vanilla anything but the cranberry was also very pleasing to my taste buds. I took a handful of the Cranberry Granola and put it on my ice cream last night. This is the first product of Udi's I have tried and I will be reaching for more of their products as I come across them. Be sure to check out Udi's website where they have an online gluten free community. 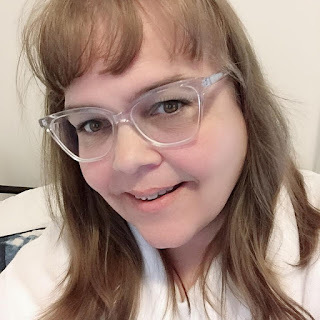 Disclosure: I received Udi’s samples to review for this post. The opinions given on this post are 100% my own.